Stress creates many inbalances in the body such as Gastro-intestinal problems, headaches and insomnia. If your body is stressed, there are different levels of treatment. First, we begin with acupuncture treatments, sometimes we add herbs and nutritional supplements too. Then you will, together with Elisabeth, analyze your diet and even how you breathe! You have probably noticed that when you are stressed, your throat tightens and you find it more difficult to breathe. In a healthy body, on the other hand, you may find your breath more from the abdomen. Why is it important to breathe with your abdomen? When you breathe with your abdomen, your body is oxygenated more effectively, which allows the biochemical processes in the body to work better. Qigong offers techniques in order to learn breathing well with your abdomen. 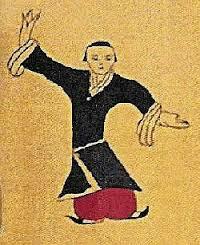 In qigong, you work with slow body exercises where the mind and breathe is coordinated with your body movements. Elisabeth gives private lessons as well as training classes in qigong.